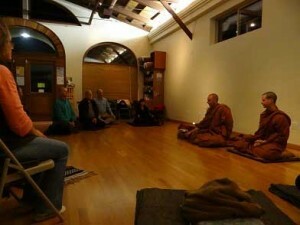 The evening generally starts with a half-hour seated meditation followed by dharma reflections and opportunities for discussion. Please join us for meditation & reflections in good company. No experience necessary, cushions, chairs and blankets provided. These evenings are sustained by your generosity. *Donations gratefully accepted. All welcome. We offer you the opportunity to practice Dana (the Pali word used in Buddhism for the practice of giving), to ‘stretch and strengthen’ your heart, to give as generously as you are able in appreciation of what is offered here for you and others. Support YoMo so we can continue to bring you teachers, classes, and events full of wisdom, insight, and joy. Yoga Mendocino offers a range of spiritual teachers and weekly meditation teachings. We invite you to help to bring teachers to our area, help get the word out to the community, donate towards this expanded program, and participate in weekly meditations and day-longs. If you would like to be included on our meditation email list, or are interested in helping out in any way, please contact us at yomo@yogamendocino.org or call at Yoga Mendocino 707-462-2580.